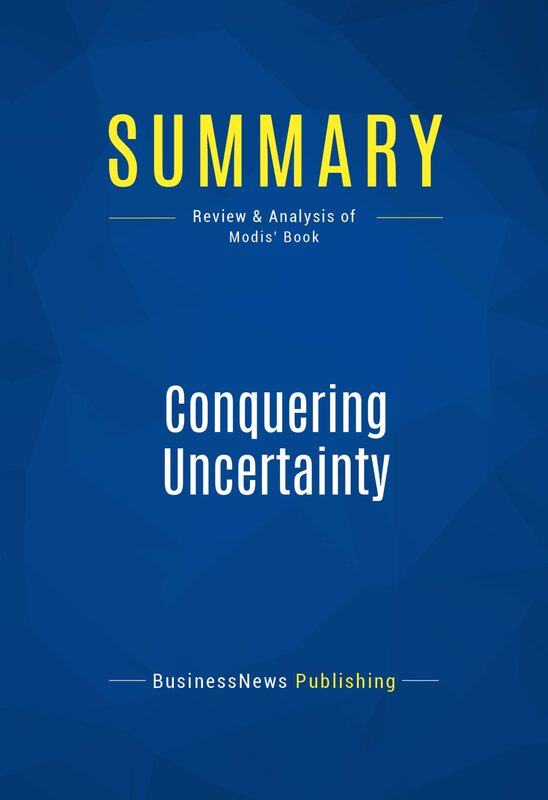 The must-read summary of Theodore Modis' book: "Conquering Uncertainty: Understanding Corporate Cycles and Positioning Your Company to Survive the Changing Environment"This complete summary of the ideas from Theodore Modis' book "Conquering Uncertainty" shows that anticipating the future of a business and taking suitable action, particularly during times of rapidly changing competitive business conditions, can be challenging. However, business changes are not random and unpredictable – they actually align with seasons along a well defined pattern called ''the S-curve’’. This summary explains that once a business can forecast which season will be next, actions can be taken to empower the corporation to successfully adapt to the coming economic climate. Levels of investment, research, innovation and the introduction of new products can be timed using S-curves and the company’s position on its S-curve. In other words, eliminating business uncertainty is achieved when a company executes a successful business strategy – a strategy that takes into account the economic conditions of the immediate future. Companies which do so can prosper, irrespective of external conditions.Added-value of this summary: • Save time• Understand the key concepts • Increase your business knowledge To learn more, read "Conquering Uncertainty" and discover how to make the right decisions at the right time.